It’s getting to be that time of year again. The last thing kids want to think about is school, but now’s the time to get your fabric and supplies for your back to school projects! We have some great back to school tutorials for students from Kindergarten to Senior year and/or their parents. Popular fabrics for back to school include felt, outdoor fabric, decor fabric, cotton prints, oilcloth, nylon, and more. We have many supplies to complete your projects too! Making a fabric book cover is super easy. 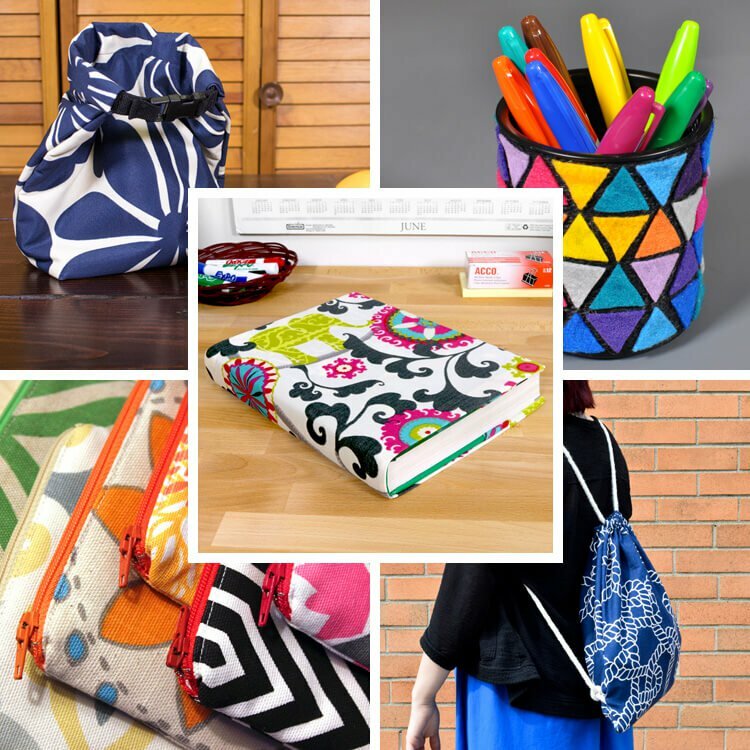 This is a great back to school project to beautify and protect all your books and binders. We used an outdoor fabric for this textbook because it’s durable and water and stain resistant. You could also use a lightweight cotton print or a drapery fabric. 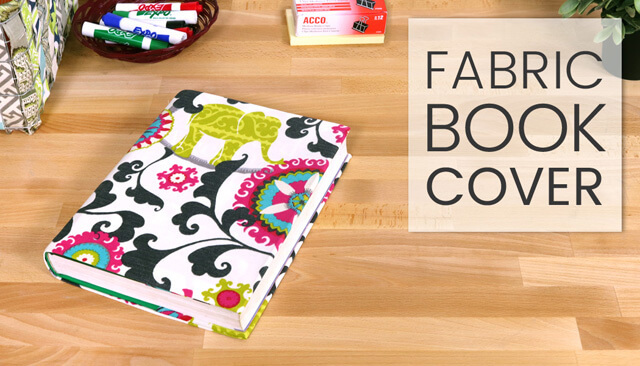 Check out How To Make a Fabric Book Cover to see the full tutorial and video instructions. There’s all different kinds of lunch bags that you could make. The difference with this one is that it’s not only easy to make, but it’s also easy to put food in, fold, snap, and go. It’s hassle free, durable, and will keep your food warm with its’ thick interlining. We used outdoor fabric for the outside, but you can also use oilcloth or nylon. The lining is flannel backed vinyl for easy clean up. 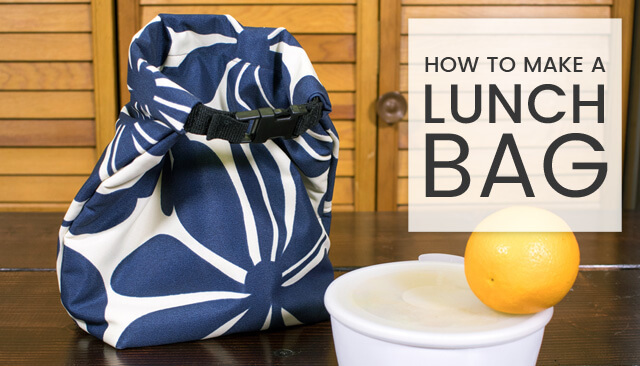 Check out How To Make a Lunch Bag to see the full tutorial and video instructions. This DIY felt pencil holder brings a pop of color to your desk or workspace, no matter your age. It does involve hot glue, so younger kids should do it with an adult. You can choose any colors and designs you like. Felt works well for anything from complex designs to fun shapes for kids’ crafts. Felt is a great fabric for many back to school crafts. We also used twine in this project. Check out How To Make a Felt Pencil Holder to see the full tutorial and video instructions. Drawstring backpacks are quick and easy to make. You won’t want to carry heavy textbooks around in it, but it’s handy for carrying many other things. You can wear it on your back or carry it like a bag. We used decor fabric, but you can use many other fabrics, like nylon and outdoor fabric. 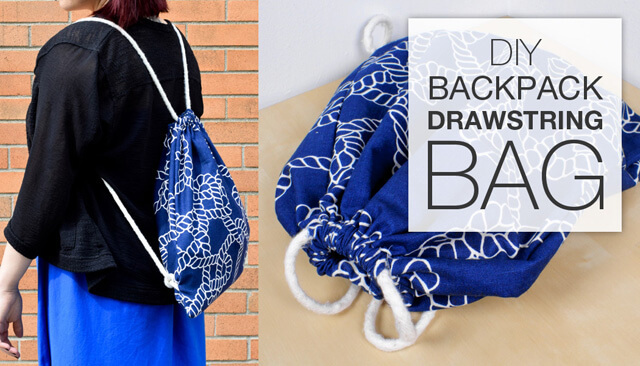 Check out How To Make a Drawstring Bag to see the full tutorial and video instructions. Zipper pouches can be made in all sorts of sizes for all sorts of things. For back to school, they make great pencil cases. First of all, you’ll need a zipper. We used Premier Prints decor fabric, but quilting cottons, oilcloth, and many other fabrics also work. 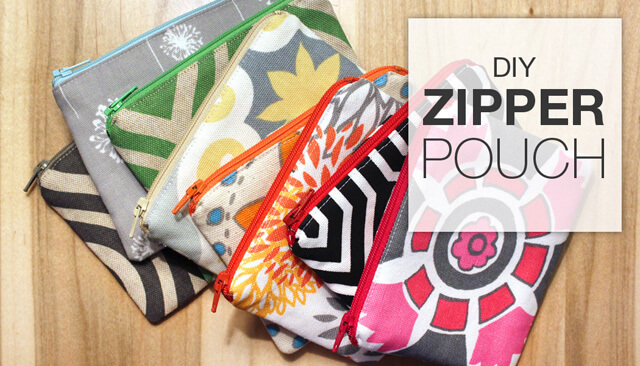 Check out How To Make a Zipper Pouch to see the full tutorial and video instructions. Shop our huge inventory of fabric & supplies to find the materials for your project.